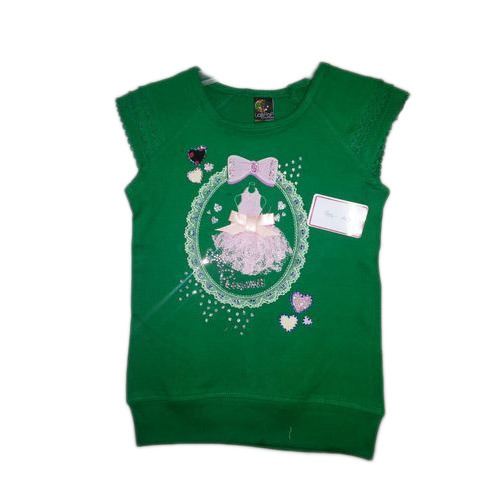 Banking on the individual requirements of the clients, we deliver world-class array of Girls Knitted Top that are stylish in appearance and comes in varied appealing shades. Our entire product range is delivered in varied designer shades and is extremely stylish in looks. We offer them in varied sizes and are easy to maintain. Lollipop Fashions is the Sole proprietorship firm establishes in the year of 2009 in Tiruppur, Tamil Nadu, (India) are the leading company of Kids Top, Girls Top, Full Sleeves Top, Kids Frock, Girls Frock, Harem Pant, Capri Set, Ladies Leggings, Pajama Set, Men’s Apparel, Hand Towel, Cotton Napkin, Bath Mat, Cotton Napkin, Polo T-Shirt, Cotton Handkerchief, Ladies Shrug, Boys T-shirt, Boys Checked Shorts and many more. This field requires continuously survey of new fashion and trend rising in the market which is necessary to maintain in this domain last long. The main objective of our firm is to provide goods of utmost quality to satisfy the customers at economical rates. Our industry is renowned in this field due to fine graded fabric of our goods. Firm has a well developed employees and machines from which the products are produced. We have an experienced knitting personnel’s who do work with full abilities to make sure about the stuff of the goods. With the help of these, group maintains their position in the market in very less time.